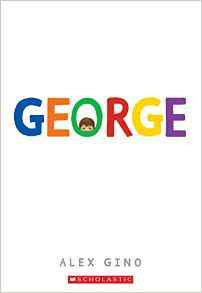 I recently asked Alex Gino a few questions about their middle-grade transgender novel, George (Scholastic). Last year, Alex was a participating author in the LGBTQ Writers in Schools program and is returning again this year as our kick-off author. You can learn more about Alex and their novel, George, here. Why did you decide to write George? When I was figuring out who I was in college, books were an invaluable resource for me. And I think about who I would be now if I had experienced positive representations of transness in the world as a kid. Like a lot of marginalized writers, I wrote the book I wish I had read. It’s a book that I hope people connect with. In a lot of ways, George is a very traditional story, and in that way, it feels familiar, even if the reader hasn’t ever thought about trans issues before. It’s written in the close third-person, with a linear narrative structure, a best friend and a bully, and a school play. And I’ve always loved children’s literature. In fact, for a long time, I thought I had lost my love of reading. It turns out that I just find grown-up fiction long and boring. Now that I’m back to reading kids’ books, I’m fine. When you do an author visit with students, what stands out for you about their reaction to reading the novel? What stands out for me is the way students connect with Melissa (the main character of my book, who most people know as George.) Often, adults tell me that they feel they understand transgender people better after reading my book. And while I’m glad they’re learning, the issue isn’t really about understanding transgender and gender nonconforming people, so much as it’s about respecting us and trusting us as experts on ourselves. But kids aren’t like that. 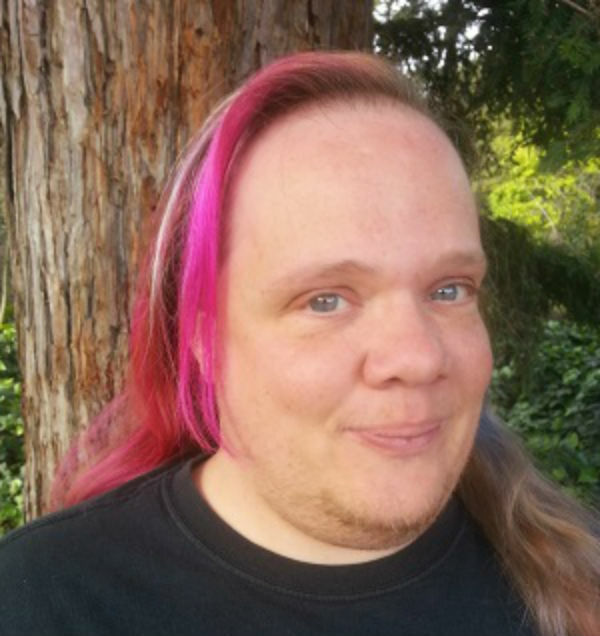 They tell me that they feel like Melissa sometimes – not necessarily as trans (though that sometimes too), but as different, as misunderstood, as too sensitive, as unseen. They’re inspired by the characters in the book who ally with Melissa and tell me they want to be like them. They don’t (yet) have the hang ups adults do about how things are supposed to be, and if they meet kids like Melissa in the books they read, maybe they never will. What’s your favorite part of visiting classrooms? The questions! When I visit schools and libraries, I go right to questions because that’s where I get a pulse on the room. And, of course, kids have better questions than adults do, for the most part. One of my favorite, thought-provoking questions came from a class who had been warned not to ask a question they had read in any interviews they did as prep for my visit (shout out to the All-Star Sarahs who teach 5th grade at Queen Anne in Seattle.) A student asked me what scene I most hated to write. Eesh, kid, tear into my soul, why don’t you? Another memorable question experience came from my first 300-student school-wide assembly, most of whom had only the vaguest idea what my book was about. Towards the end of the assembly, a kid raised his hand but a classmate told him the question was rude and not to ask it. I was curious after the talk and sent someone to find out if the kid still wanted ask the question. He did, and in front of two teachers, the principal, and the Scholastic rep, he asked what bathrooms Melissa used and would want to use. This kid was suddenly part of this genuine discussion about the complexities of safety vs self-expression. It was beautiful. I am indeed working on a new middle-grade novel. It’s in revisions as my editor and I hone in on a complex, nuanced tale with threads of Deafness, baby sisters, racism, and police violence. My main character is a hearing white girl who’s learning about her world, her privilege, and how to ally with marginalized friends and family. It’s intense, but it’s also needed, and I only hope that I am giving these issues the justice they deserve. I’m about three years in, which feels like forever, but given that George took over a decade, I’m doing okay.